Optimized Irvingia with Phase 3 Calorie Control Complex contains a proprietary nutritional complex consisting of natural ingredients that have been well received in various studies. 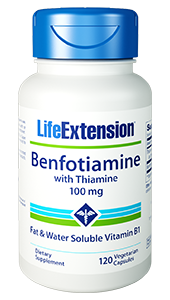 Combined with other important nutrients support our body’s concerns. 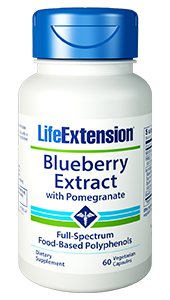 Life Extension Optimized Irvingia with Phase 3 Calorie Control Complex formulation provides a combination of natural compounds that combat age-related body concerns. 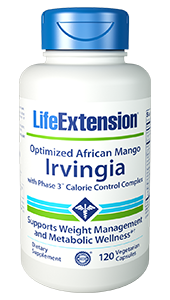 It utilizes a proprietary complex consisting of Integra-Lean African Mango, InSea2, TeaSlender, Phase 2, Phase 3, and other supporting nutrients. Researchers have known of the many health benefits of seaweed extracts for years. InSea2 is a proprietary extract of brown seaweed and bladderwack. The decaffeinated green tea extract in TeaSlender contains health-promoting polyphenols which support the body’s natural antioxidant activity. Phase 2 contains a white kidney bean extract that is high in protein, fiber, and many vitamins and minerals. Phase 3 is an L-Arabinose and Chromium GlycoProtein Complex, an important mineral. 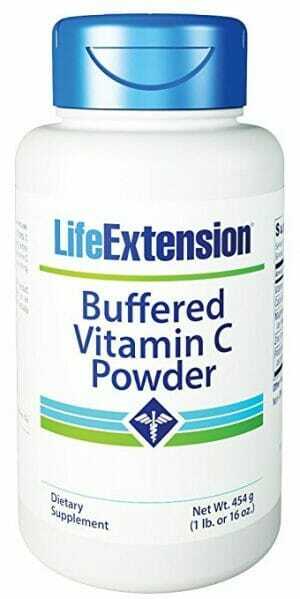 Other Ingredients: vegetable cellulose (capsule), stearic acid, silica, vegetable stearate. Contains soybeans. Phase 2® and Phase 3 are used under license.